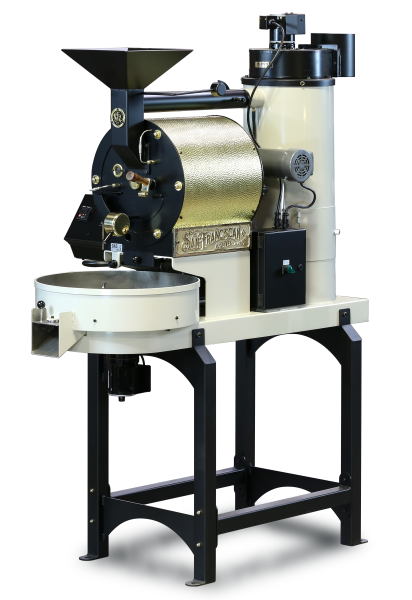 The SF-6 is a popular roaster for cafes, coffee houses, farmers markets, fairs, and festivals. It can be ordered with a special ‘farmer’s market cart’. The SF-6 has gained an international reputation as one of the best small-batch roasters in the world and has been represented at the Good Food Awards for the past four years. The SF-6 roasts between 2.2 lbs (1 kg) to 6.6 lbs (3 kg) of green coffee per batch. All motors, pipes, and the cooling tray are removable for easy cleaning. 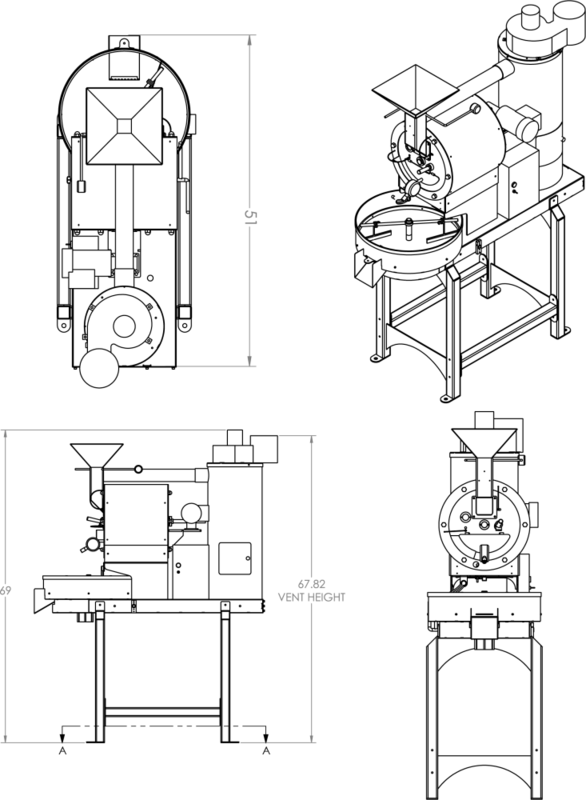 gas and electrical components in the US. Measures bean mass and the temperature inside the drum, which are displayed on a digital meter. SFR roasters are compatible with most coffee-roasting, data-logging software. Roaster Dimensions (w/o Stand): 50 x 22 x 42 in. / 127 x 56 x 107 cm. Roaster Dimensions (w/ Stand): 50 x 22 x 71 in. / 127 x 56 x 181 cm. Roaster Weight: 355 lbs. / 161 kg.